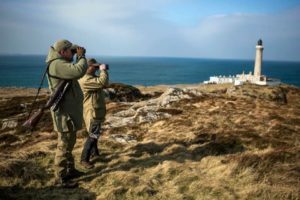 The Irish Deer Commission promotes and encourages efforts to improve the management and conservation of our wild deer. 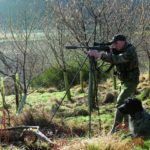 Develop a sustainable and achievable deer management policy progressed within a partnership arrangement with all land users and stakeholders. Promote and encourage efforts to improve the management and conservation of our deer population and habitat. Co-operate and liaise with other organisations in matters of common interest. Support landowners and land managers to ensure deer are managed at sustainable levels. Highlight and support initiatives to combat wildlife crime, including the illegal killing of deer. Campaign on behalf of our members on the importance of conserving our native deer species as part of Ireland’s rich natural heritage and biodiversity. 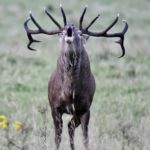 With particular importance on the unique DNA blood-lines of the wild Irish Red deer in Co Kerry and the island of Inishvickillane. Our members are only too willing to share their knowledge with those who share these views. 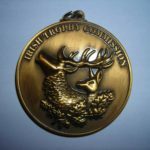 The Irish Deer Commission is an unincorporated Association run on a voluntary basis for the benefit of its members. It has an Executive of fifteen persons who run the affairs of the Commission and report on its management to the General body at its General meetings. There are many benefits of membership including attendance at our member events, regular updates on deer related matters, access to our members Facebook page and an opportunity to have an input on matters the Commission may lobby on behalf of its members, but most of all, it is an opportunity to meet like minded deer people. Here are some of the reasons why people say they have joined the Irish Deer Commission! Visit the membership page on this website to apply to become a member.